professional way – you are Important, you Deserve It and you’ll Love it. How do i get the offer? Is it one per customer? 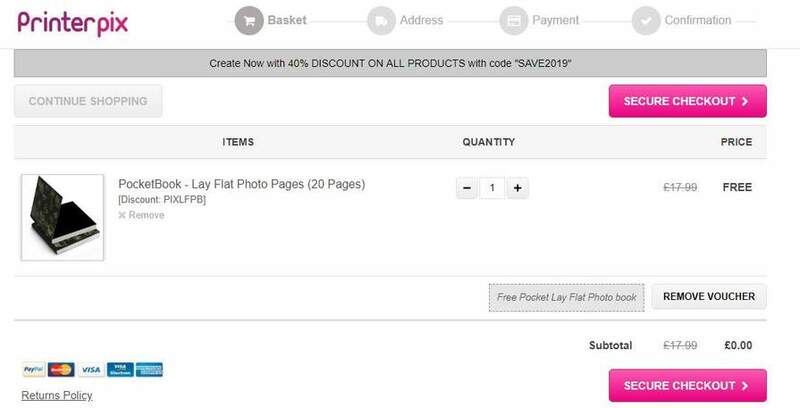 Bit confused - you only pay P&P for this photobook offer? Yes sorry I bought two metal prints as I thought they looked good and now can't redeem them together. It was more a warning for alternative purchases, doesn't affect this deal at all. i cant work out how to edit the photos or shuffle them around,does any one know if this is an option please? i cant work out how to edit the photos or shuffle them around,does any one …i cant work out how to edit the photos or shuffle them around,does any one know if this is an option please? Try clicking or double clicking on the photo once you have them in the book. 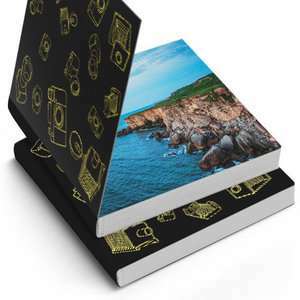 If you want to make it a set of landscape photos (and not a mix between landscape and portrait), insert the landscape photo in to adjoining portrait pages and move the images appropriately. Got mine a few days ago. Great little presents. rip(cut) it for printed coasters? Received it yesterday. 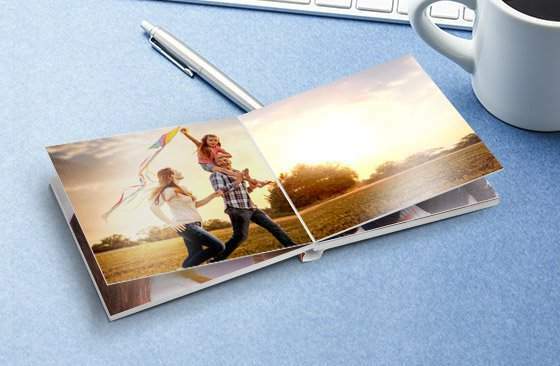 Lovely little (child size) book for your children's photos! Be Aware - unstable platform. Recently spend 2 weeks trying to work around number of errors on the platform PrinterPix use. Twice all images disappeared when album was almost ready. On 3 evenings we received error 500 (server is down) but support team told me to clear cache of my browser, not sure how my browser has something to do with their servers. Also, all images we uploaded on their storage were not loading to pages, again refresh browsers Just to prove a point, I have refreshed it, cleared cache, tried different browser, used mac instead of windows and tried 3 to complete the album on Safari, Chrome and Firefox... Support - issues are on my end. At the end, we spent 3 weeks to complete something that usually much easier with other companies. You will get for what you pay. Quality: we went for upgrade in colours, and when we got it we could not see difference between PrinterPix upgrade or standard from another company. I would perhaps think twice if it was more than the basic 20 pics with no editing, however it seemed to handle that ok. Not bad for £3. use a different email id for the second one. I ordered 5 with same email but on separate orders, they arrived quickly & great for me 12 month old as the pages are card. Mine arrived today, happy with them. Although, £3 is the price for them, they are tiny. I am having problems uploading my photos, it is very temperamental as to which ones it will accept. Seems to be no logic as same file type and similar size won't upload yet another one will. I'm trying to complete a photobook I got via Groupon as a memory of my father in law who passed last year and it won't load the images I scanned of photos of him as a young boy. Have raised a support ticket so hopefully they will be able to advise how I can upload them. If you add extra books, offered for an extra £2.99 each it adds £14.69 to the delivery charge. I had exactly the same experience and their customer service is horrifying. Vowed I would never use them again. The quality is fantastic. I am tempted to order more. I am having problems uploading my photos, it is very temperamental as to …I am having problems uploading my photos, it is very temperamental as to which ones it will accept. Seems to be no logic as same file type and similar size won't upload yet another one will. I'm trying to complete a photobook I got via Groupon as a memory of my father in law who passed last year and it won't load the images I scanned of photos of him as a young boy. Have raised a support ticket so hopefully they will be able to advise how I can upload them. i have purchased two! the quality is amazing and awesome for the price. definitely worth the purchase, if you want two at £3 each then order them in two different times that way youll get the discount for both! The response was not particularly helpful just about clearing cache, try a different browser etc. However I managed to get round the problem by opening the photos that wouldn't upload in paint shop pro then saving them as jpg and found that these would then upload. No logic to the ones I had to do this with but finally finished it yesterday and ordered them so just hope they look ok when they arrive. anyone know when this deal will end?